Israeli tech companies tend to be more product-focused than marketing-focused, stemming from the fact that the company founders often come from an engineering background, and simply assume that the best technology automatically win the market. 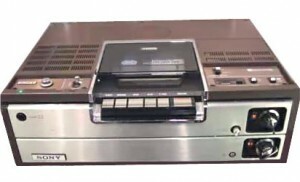 Just in case you need a reminder that quite often it’s the sucky technology that wins, the image above is a Sony Betamax, and if you’re too young to remember the world before Netflix, Amazon Prime and VOD, you can read the impact of faulty marketing decisions on Betamax here. Common wisdom says that Israeli tech companies are just bad at marketing. I disagree with that statement. Some of the CEO-engineers I’ve worked with are among the most creative marketers I’ve ever seen – full of amazing ideas, willing to try new things, and focused on measuring the ROI on every campaign. And there is no lack of talented marketing consultants and in-house marketers in Israel. The problem lies in emphasis. I have worked with and mentored dozens of Israeli technology companies over the years. Too often I see an unrealistic (to the point of wishful thinking) attitude about how much effort — i.e. time and money — in marketing is required. Marketing is at least as important as product development, and if you’re doing a good job at marketing it will probably impact your product direction. Why have I chosen to air this tirade at this moment? Because I recently attended a Gartner forum in which figures from their Marketing Essentials program were presented. Based on Gartner research, US technology companies are expected to spend 6.2% of revenues on marketing in 2013. This is up from 5.5% in 2012, and 4.8% in 2011, and 3.7% in 2010. It’s hard to compare apples to apples, since my study asked participants to select a range that their budgets and revenues fall into. In order to overcome that, for consistency sake, I took the midpoint of the range in every case. I tested taking the high ends and low ends, and the effect was minimal on the overall result. What is the overall result, you ask? Yes, that’s it. Two percent of Israeli tech companies’ revenues goes towards marketing. That is less than one-third the US 2013 figure, and less than half the 2012 and 2011 numbers. Israeli companies are spending less than half of their American counterparts on marketing. I am sure my marketing exec colleagues are snoring by now, “of course, we knew that!” they are saying to themselves. I knew we were spending less, too, but it’s different seeing it come out, all by itself, from an excel spreadsheet. Some might say, “yeah, but we’re marketing smarter, so we don’t need to spend as much.” Wrong. You may be supersmart, but with less than half the budget of your competitors it’s like running a race with ankle weights, and in winter clothes. Your company’s growth trajectory may be a marathon or may be a sprint, but I’m sure you’ll agree that you run faster in the right sneakers and lightest athletic clothes. Folks, we need to double down. 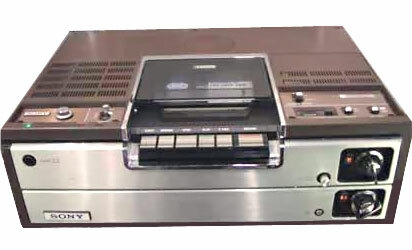 Double our tech companies’ marketing budgets in the coming years, or our companies are doomed to the fate of Betamax. To download the full Israeli Tech Marketing Benchmark Study click here.